Many lawyers around the country rely on the resources, support, and networking opportunities that the American Bar Association provides to their members. In this episode of The Legal Toolkit, host Jared Correia talks with American Bar Association President Linda Klein about law practice management needs that solo and small firm attorneys struggle with and the new Blueprint initiative that the ABA is rolling out to help meet those needs. In addition to being president of the ABA, she is managing partner for the Georgia offices of Baker, Donelson, Bearman, Caldwell & Berkowitz, LLP, where she practices in business dispute resolution including contract law, employment law, and professional liability. Lawrence Colletti: Hello listeners. 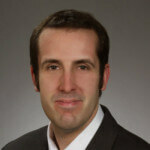 This is Legal Talk Network Executive Producer Lawrence Colletti. Each month we look back in our show archives searching for favorite productions. The episode you are about to hear originally aired in January and we’re rebroadcasting it because it features ABA President Linda Klein discussing how their new ABA Blueprint of small firms and solos select technology solutions to run better practices. So stay tuned, we hope you enjoy the episode. Intro: Welcome to The Legal Toolkit, bringing you the latest legal trends and business initiatives to help you manage your law firm. Here are your hosts, experienced lawyers, writers, and entrepreneurs, Heidi Alexander and Jared Correia. You are listening to Legal Talk Network. Jared Correia: Hey everybody. 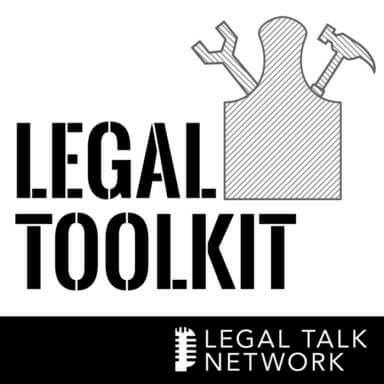 Welcome to a very special episode of The Legal Toolkit on Legal Talk Network. If you are still looking for D. B. Cooper, you should know that he is probably dead. I am sorry you had to find out this way. If you are a returning listener, welcome back; if you are a first time listener, hopefully you will become a longtime listener, and if you are Dave Dombrowski, for the love of God, please don’t trade me more prospects. As always, I am your host, Jared Correia, and in addition to casting this pod, I am the Founder and CEO of Red Cave Law Firm Consulting, which offers subscription-based law practice management consulting and technology services for law firms. Check us out at HYPERLINK “http://www.redcavelegal.com/”redcavelegal.com to find out more. You can also buy my book, ‘Twitter in One Hour for Lawyers’, from the American Bar Association on iTunes and Amazon, and probably also at the Phoenix and Dragon Bookstore in Atlanta, Georgia, which may or may not be still open. Here on The Legal Toolkit we provide you each month with a new tool to add to your own legal toolkit so that your practices will become more and more like best practices. In this episode, we’re going to talk about the American Bar Association’s newest and coolest project, Blueprint. Before I introduce today’s guest however, let’s take a moment to thank our sponsors. First off, let’s welcome our new sponsor, Answer 1. Answer 1 is a leading virtual receptionist and answering service provider for lawyers. You can find out more by giving them a call at 800 Answer 1 or visiting them online at HYPERLINK “http://www.answer1.com/”www.answer1.com. Welcome aboard folks. Scorpion delivers award-winning law firm web design and online marketing programs to get you more cases. Scorpion has helped thousands of law firms, just like yours, to attract new cases and grow their practices. For more information, visit HYPERLINK “http://www.scorpionlegal.com/podcast”scorpionlegal.com/podcast. For the show, and for your listening pleasure, we have got someone with perhaps the most important job in the legal industry, and it’s a volunteer position, apparently with a lot of travel commitments as well. Linda Klein is the current President of the American Bar Association. For her day job, she is the Managing Partner of Baker Donelson’s Georgia offices, where she practices in business dispute resolution, including contract law, employment law and professional liability, working extensively with clients in the construction, higher education and pharmaceutical industries. Before that she served as a Managing Partner of Gambrell & Stolz, beginning in 2001 and led that firm’s 2007 merger with Baker Donelson. In 1997, Linda became the first woman to serve as the President of the State Bar of Georgia. She served as Chair of the ABA’s House of Delegates, the second highest office in the organization from 2010-2012. She has also served as Chair of the Tort Trial and Insurance Practice Section, Chair of the Committee on Rules and Calendar of the House of Delegates, Chair of the Coalition for Justice and Chair of ABA Day, the Association’s outreach efforts to Congress. She is a member of the Council of the ABA Section of International Law and also serves as a columnist on the Board of Directors of Law Practice Management Magazine. In 2004, the American Bar Association honored Linda with the prestigious Margaret Brent Women Lawyers of Achievement Award. And that’s a pretty long recitation, but I even left out some stuff. So Linda, I know you are very busy, so thanks for taking the time to come on the show. Linda Klein: I am glad to be here. It’s a privilege to talk about what’s going on in the American Bar Association and to share news about our program. Jared Correia: Yeah. We are going to get into that momentarily, but they usually don’t let me interview people of your stature, so personally, this is very gratifying for me. I just want you to know that. Linda Klein: The pleasure is definitely all mine. Thank you. Jared Correia: So let’s jump into ABA Blueprint, which was released very recently, in fact early November, can you tell folks a little bit about what that is and means? Linda Klein: Like you said, we launched ABA Blueprint in early November, so it’s now about five weeks old, and at its heart ABA Blueprint is a one-stop shop for ABA members and future ABA members, any other lawyer that use a dynamic web tool to provide ABA members access to a suite of services related to law practice management. These services are packaged to give lawyers, and particularly solos and small from lawyers, much needed help managing the administrative complexities of their legal practices. ABA Blueprint is designed to walk lawyers through their needs and offer affordable services to help their practice. The assortment of practice management services offered by ABA Blueprint ranges from billing assistance, to marketing help, to technology solutions, to virtual assistance. ABA members can also schedule a free 30-minute management consultation by phone or get quick answers via live chat. So that’s an extra advantage for ABA members that use it. And in addition to the full menu of law practice management offerings, ABA Blueprint also offers members steep discounts that in many cases can offset the price of ABA membership, but again, ABA Blueprint is open to all lawyers. Jared Correia: Yeah, and that’s a big piece of it as well, offsetting the ABA membership I think. Yeah, solo and small firm lawyers definitely need the help. It sounds like a super comprehensive program, and we will get into the details a little bit of it in the rest of the first part and also the second part of this podcast. But before we get there, I want to know a little bit about the origin story of ABA Blueprint. So my son loves superheroes, every superhero needs a good origin story, so how did Blueprint come about, how did you get the idea, and why were you and the ABA so keen to sign off on this program, and you put it together really quickly as well, which is impressive? Linda Klein: This is really one of the more important points I would like to underscore, because ABA Blueprint grew out of a need that was expressed to me repeatedly while I was going around the country on what I called my listening tours, where I met with lawyers who were members and most of them non-members of the Association. So, in my one-year term as President-elect of the Association last year, I did these listening tours, and on these listening tours I spent a lot of time listening. My grandma said, you have two ears and one mouth, and so you should listen twice as much as you talk. Jared Correia: She was a wise lady. Linda Klein: She was. So I went from Savannah here, where I live in Georgia, I went to Tacoma, Washington at the other end of the country. I went to Burlington, Vermont, and many, many cities in between, cities of diverse sizes and locations, but I did spend a little more time in smaller cities where I hadn’t been before rather than larger ones; Owensboro, Kentucky, Evansville, Indiana are some examples. And at each stop I asked lawyers, whether they were ABA members or they weren’t members, what did they need to better serve their clients. And I learned that lawyers want time to do more pro bono and more reduced fee work, but they can’t because of the administrative burdens of running a small law practice. The reality is the business of running a law firm detracts from the time that many solo and small firm lawyers can give to what they love to do. We heard that before when you said it, people love to practice law, that’s why they became lawyers, and these administrative burdens really take time away from that. And the lawyers also told me that time and again among their most pressing needs are information and tools to improve their practices. I will give you an example. A solo practitioner in Denver, he said, I don’t have time to practice law, because I have to make time to send client bills and then collect them and then pay my own bills. And I understood that. I understood what he was saying. And I heard similar comments over and over again across the country. So I set out during my term as President-elect to harness some of the best talents we have in legal technology and our colleagues from the Law Practice Division of the American Bar Association, from the GPSolo Division, among others, to begin to develop these tools to help lawyers. And it was a great team effort, and the fact that we were able to launch ABA Blueprint three months since the beginning of the ABA year, which was where my term as President began, is a testament to the team’s vision and the hard work. They are fabulous and I so appreciate the great work that they did. Jared Correia: That’s fantastic. In Bar Association time, you went from idea to launch in about six minutes, I think. You are not going to have an opportunity to do this later, so would you like to give a shout out to some of the people on the team and thank them for what they did, feel free if you want to. Linda Klein: Yes I think, I think it’s appropriate of CuroLegal and Nicole Braddock and Chad were very, very much in the center of responsibility for this. Joshua Poje at The Law Practice Management Division, Tom Grella on former Chair of The Law Practice Management Division. He chairs a group we put together in the ABA called The Emerging Member Benefits Committee. These are people who are working on a zero budget. So they don’t even have a travel budget and they’re doing this because they so much want to help. Jared Correia: Yeah that is a fantastic team. I think I know everybody involved. I think it’s interesting that you say as well that you have heard this from non ABA members across the board as well. So clearly it’s the universal issue and including in rural spaces. I know that Clio is one of the partners in ABA Blueprint and they just released a study that said the every solo lawyer only builds about 1.5 hours of substantive work a day and I think that’s risen the efficiency issues that solo lawyers have which hopefully Blueprint will ease the burden of. Linda Klein: I think you’re absolutely right. Jared Correia: Well, let’s address that question a little bit of a deeper level. What issues then specifically do you think are facing the modern solo or small firm lawyer efficiency or otherwise that Blueprint can solve for? Linda Klein: So on these listening tours lawyers and particularly the solo practitioners and in those in small firms and that’s three-quarters of the people who practice law in our profession, they understand that the administrative burdens of running the law practice cut deeply into the time they have to practice law and that that study that Clio did proves what I heard. And so we developed Blueprint as that one stop shop for lawyers to get the services they need in a very quick and convenient way. People said to me, I don’t have time to find all the different things, I need just to put it in one place and just do it. And so with the help of Chad and Nicole at CuroLegal and they offer consulting and design and development services, ABA Blueprint was designed to offer options and choices. I’ve heard the expression one side fits one and that’s exactly true. One size does not fit all, and so the core concept of ABA Blueprint is to help lawyers choose the products and services they need to build the firm to their liking. And so we provide a broad array of choices. We have a strong complement of services now, but we’re not done, it’s not a full complement and we’re going to continue to build and offer more choices. This is an organic and growing project. Jared Correia: Well that’s perfect and I know that’s true for my own consulting. Yes, lawyers only want what they want for their practice and they also say, hey, just tell me what I need. It sounds like this directly solves for that. Can you then tell me a little bit more about how Blueprint works specifically leading into our break here? Jared Correia: I know you have more to say about the mechanics of it. Linda Klein: No, it’s very exciting to me as you can tell, I’m smiling as I talk about them. Jared Correia: I can hear it through your voice. Linda Klein: Well, ABA Blueprint provides lawyers with a quick and convenient way to find the products and services that they told me are essential to running small firm practices. So there are two options, two tracks that lawyers can follow with ABA Blueprint. The first is called Firm Builder and that part is restricted to ABA members and provides customized recommendations based on the lawyers or the law firm’s unique needs. So the lawyer first chooses a category, technology, virtual assistants, marketing, those are three examples. And then answers a series of questions, and from those answers to those questions, ABA Blueprint uses the information to develop a set of recommended products and services. The other way, another route is the universal solution that’s open to anyone, you don’t have to be an ABA member and offers packages tailored to those needs. So one is, start a firm now, another, help me get paid, help me grow, help me build a team, help me with e-discovery, help me ensure my future. Those are some examples. So a user can click on a product to read more detailed description and then can click through to the vendor site to purchase a product and product descriptions also show the savings available to ABA members, because ABA members are going to get a better discount. Jared Correia: Yeah, that makes sense. Linda Klein: A third option also available, only the ABA members through the ABA Blueprint site is to contact a practice management consultant and ABA members can schedule a free 30-minute consultation by phone or get quick answers by a live chat and that’s limited to live chat between 9:00 a.m. and 3:00 p.m. eastern time. We’re very, very pleased with the vendor support and a range of services among the vendors is Ruby Receptionist which is a company that provides virtual receptionist. Another you mentioned is Clio, a legal case in practice management software. There’s also LawPay which is a Credit Card Processing System designed for the unique needs of attorneys. There are many more, but these few examples give the range of vendors that we’re offering. Jared Correia: That’s fine, let’s just tease it, because what we want to do is make people go to the site, right? And if you’re not ABA member, you should check out the universal option, but that’s cool. I mean I’ve tried to chat about this a few times with respect to this process and it sounds like you’re really giving people the fundamental choice to access human beings when they want them, but if not, just to purchase services directly and that’s great. Linda Klein: And the idea was for there to be as many at one size fits one, so there’s got to be as many options. Jared Correia: That’s got to be one of your grandma’s statements, right? Is that one of hers? One size fits one. Linda Klein: Uh maybe. I really don’t remember. Jared Correia: I am sure it was. All right. Unfortunately we’ve reached the end of the first half of our show and our Blueprint calls for me to take a quick break before we come back with more from ABA President, Linda Klein. However, before you go grab that snack I want to tell you a little bit more about our sponsors. Advertiser: Is your firm experiencing missed calls, empty voicemail boxes and potential clients you will never hear from again, enter Answer 1 Virtual Receptionists. They are more than just an answering service. Answer 1 is available 24×7. They can even schedule appointments, respond to e-mails, integrate with Clio and much more. Answer 1 helps make sure your clients have the experience they deserve. Give them a call at 1-800-answer 1 or visit them at HYPERLINK “http://www.answer1.com/podcast” answer1.com/podcast for a very special offer. Not getting enough cases from the Internet or the kind of cases you want, Scorpion can help. Over the last 15 years Scorpion has helped thousands of law firms, just like yours, to attract new cases and grow their practices. During this time Scorpion has won over 100 awards for its law firm website design and online marketing success. Join the thousands of law firms that partner with Scorpion and start getting more cases today. For more information, visit HYPERLINK “http://www.scorpionlegal.com/podcast” scorpionlegal.com/podcast. All right, go ahead then, get your snack on, I am going to cough some more. Jared Correia: Thanks for coming back. I hope and pray that the Oreos you ate were double stuff because you’ll need the energy for the remainder of our voyage into the center of ABA Blueprint with ABA President Linda Klein. So I saved the best stuff for after the break Linda to get people to come back. I think this is the question that most solo and small firm lawyers are going to ask and you alluded to this before, but we can get into more detail now. How much does this all cost, and in this case maybe the appropriate question is also what you talked about before, how many discounts can I get? Linda Klein: Jared, costs vary of course depending on the services that are used, remember one size fits one, but a notable advantage of ABA Blueprint is the extraordinary discounts it offers. For example, Clio has three levels of monthly subscriptions, $49, $59 and $109. With an annual contract, Blueprint offers 25% discounts off of Clio’s top two tiers of pricing. So the users would save $207 a year on Clio’s $69 monthly subscription or $327 a year on Clio’s $109 monthly subscription. Ruby Receptionist is offering a new solo plan through Blueprint that is not available to the company’s own website. The solo plan is a $180 a month compared to the lowest price plan on the company’s website which is $259 a month. We hope the members-only features of ABA Blueprint will provide an incentive of course for non-members to give ABA Blueprint a look and then join the association. Many of us know Bob Ambrogi of the respected blog LawSites and he said and this is his words, ABA appears to be right about the savings Blueprint offers and I’m very proud of that. So as an example, a solo lawyers do — depending on how many years they are out of practice would range from a $117 to $260 a year and the Clio discount alone will cover those dues. And if you buy other products as well, the savings are even greater. So I was pleased with what Bob Ambrogi found in his analysis of ABA Blueprint, he’s right. Jared Correia: Well, that’s interesting. Bob is my neighbor, he lives like right up the road from me, and math is not my strong suit. I’m more of the Gerald Ford. I was told there would be no math variety of lawyer, so I’m going to take your word for it and say there are a lot of discounts here, and so go check that out. So we’ve talked a little bit now about the help that Blueprint will offer to the whole community of solo and small firm lawyers, which as you said is the majority of lawyers in the United States both ABA and non-ABA members, but let’s now turn to young lawyers specifically, because I know this is something you want to focus on a little. What particular advantage does Blueprint provide to younger lawyers? Linda Klein: I’m glad you asked because ABA Blueprint is a perfect fit for the young lawyer, the new lawyer who’s hanging out his or her shingle after law school or anyone pursuing a career as a solo practitioner or as part of a small law firm. All first-year lawyers who passed the Bar are eligible for free ABA membership, and ABA Blueprint provides the tools for them to set up their own practice. The ABA has so much to offer young lawyer including an array of free continuing with legal education sessions and through our young lawyers division many other ABA sections and the ABA itself there are countless networking and mentoring opportunities for the newly-minted lawyer. The tools go way beyond, a virtual receptionist or a practice management software, a young lawyer through ABA Blueprint gets bookkeeping software, marketing assistance, eDiscovery assistance, and much, much more. I recently visited with the lawyers in a legal incubator program here in Atlanta and they are all starting their own practices, and when they heard about Blueprint they were so glad because all the things they needed to get started were right there in one place, and besides a demand for software, they were pleased to see health insurance was offered there too. Jared Correia: Oh, through Blueprint, I was not aware. Jared Correia: Wow. Oh, I see, that’s something I didn’t. I learned something new today. All right, now, my last very specific question on Blueprint relates to sign-up. So if I am a curious lawyer, young or not so young, how would I go about signing up for Blueprint, is there a mobile option, now what are the access choices here? Linda Klein: That’s the easiest question you have asked me. Linda Klein: HYPERLINK “http://www.abablueprint.com” www.abablueprint.com and then go to Get Started, click and follow the prompts, it’s really easy, it’s fast, it’s convenient, and while there’s no separate app it is completely accessible through the smartphone web browser, and people have told me that they’ve used it that way seamlessly. So again, the URL is, HYPERLINK “http://www.abablueprint.com” www.abablueprint.com. Jared Correia: All right, folks, couldn’t make it much easier than that, HYPERLINK “http://www.abablueprint.com” www.abablueprint.com, feel free to check it out after you get done listening to this show or while you’re listening to it. So before we wrap this up then here’s my last overall question, and I should mention that I’ve been told that the ABA has expanded its insurance offerings including it sounds like health insurance offerings through Blueprint, so can you tell me a little bit about that before we finish up? Linda Klein: Glad you asked. That’s why I teased a minute ago. Yes. The insurance program was launched this past fall, it’s up and running and shows great promise for the more than 400,000 ABA members and their families and their staff. Insurance can be a difficult proposition for solo and small firm lawyers. During my listening tour my very first stop with Fargo, North Dakota and a lawyer told me that his legal secretary quit to become a greeter at a car dealership. Why? She needed health insurance for herself and her family, and the solo practitioner couldn’t offer it. So we’re trying to solve those problems for solo and small firm lawyers. So far we’ve rolled out 11 products, provided through USI Affinity, that’s our partner, and that includes health insurance, auto and homeowners insurance, term life insurance, disability insurance, dental and vision insurance, travel, long-term care, even pet insurance, but also something very important for younger lawyers and that student loan refinancing; and the student loan refinancing plans are open to all law firm employees not just lawyers. In fact, most of these insurance programs are open to law firms to offer to their staff. We call it ABA Insurance, and like ABA Blueprint it’s a new member benefit designed to provide savings that may cover or even exceed the cost of ABA membership. The ABA has a long history of leveraging our group buying power to provide valuable member benefits and ABA Insurance adds to that portfolio. Our initial insurance products are great opportunity for members to have or add to existing coverage and we plan to introduce more insurance opportunities in the coming months. Our partner USI Affinity was chosen very carefully, they specialize in insurance, financial and risk management services to organizations like the American Bar Association other nonprofits. We are confident that as we work with USI Affinity we are going to give our members and our prospective members access to a wide variety of insurance products that they need at the best possible prices. And while I am at it I am going to mention that the ABA is committed to help its members to be better lawyers, and traditionally that’s meant continuing legal education and books and magazines and newsletters, and the ABA is still best at that of course, but the ABA recognizes that lawyers need more and the ABA Blueprint product and ABA Insurance are two more examples of how our association is there for lawyers, you can reach ABA Insurance through Blueprint if you’d like, and so, I encourage everybody to go check out HYPERLINK “http://www.abablueprint.com” www.abablueprint.com. Jared Correia: Wow. I was just listening to all that. So you came to the podcast for ABA Blueprint, you also have got ABA Insurance and all kinds of other stuff too. So there’s a lot of homework here, lawyers listening, lots of stuff for you go check out from the ABA, really dynamic programs that have been set up. My only question is, whether my pet kangaroo would fit under a pet insurance policy from USI Affinity? But I will look into that on my own time, otherwise, that’ll do it for a very special episode of ‘The Legal Toolkit’. I will be back on future shows with further insights into my soul, the Soul of America and the Legal Market. However, if you are feeling nostalgic for my dulcet tones, you can check out our entire show archive anytime you want at HYPERLINK “http://www.legaltalknetwork.com” www.legaltalknetwork.com. So, thanks again to ABA President, Linda Klein of Baker, Donelson, for hanging out with us today. She’s a very busy lady and it’s been a fun conversation. So Linda, here’s the chance to plug things one more time. Can you tell folks about how to get more information about you, your firm, the ABA and/or Blueprint or whatever else you want? Linda Klein: Well, I certainly want everybody to go to HYPERLINK “http://www.abablueprint.com” abablueprint.com but for more information about the American Bar Association, go to HYPERLINK “http://www.americanbar.org” americanbar.org and if you’d like to read more about what the Office of the President is doing this year, our program such as Helping Veterans Get Legal Services, you can find that at the ABA website as well. Jared Correia: That’s awesome. You have accomplished a lot already and as of this recording we are only into December, so I look forward to seeing what else it is that you can do. Thanks again, ABA President, Linda Klein of Baker, Donelson, and finally, thanks to all of you out there for listening, and I’m spent. Outro: Thanks for listening to ‘Legal Toolkit’, produced by the broadcast professionals at Legal Talk Network. Join Heidi and Jared for their next podcast covering the current business trends for law firms. Subscribe to the RSS feed on HYPERLINK “http://www.legaltalknetwork.com” legaltalknetwork.com or in iTunes.